Kitagawa Village - Monet's Garden Marmottan is a great replicate of famous artist Claude Monet's gorgeous water garden in France. The garden is a beautiful mix of Japanese and French designs, having been deeply influenced by Monet's work "Water Lilies" and his love for Japanese painting style "ukiyoe". 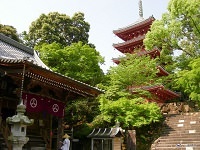 Kitagawa Village consists of three areas: "Mizu no Niwa" " (Water Garden), "Hana no Niwa" (Flower Garden), and "Hikari no Niwa" (Light Garden). 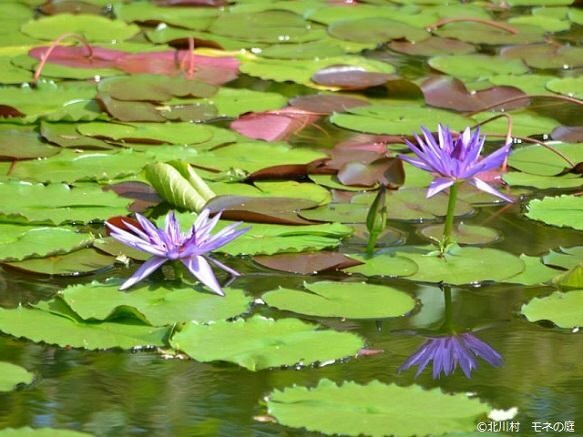 The Water Garden features the water lilies and ukiyoe designs Monet found dear to his heart. An arched taiko bridge runs across the pond where water lilies and plants float on top. 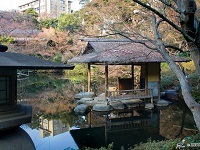 The pond creates an area of tranquility where you can hopefully feel at peace and appreciate nature. The Flower Garden is an impressive collection of colorful flowers believed to reflect Monet's taste in colors and design. The Light Garden focuses on Monet's expedition to the Mediterranean during which he hoped to create works of art of the renowned sea. 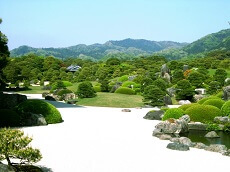 Kitagawa Garden recreates Monet's interpretation of the Mediterranean with palm trees, exotic plants, forests, and more. Kitagawa Village - Monet's Garden Marmottan, is a great place to appreciate the works and artistic styles of famous French artist Claude Monet. 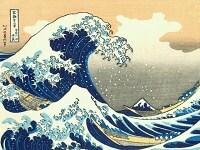 Ukiyo-e is a type of woodblock print and paintings of the Floating World.